Who doesn't love funky pyjamas? After LBDs they are my favorite. So, I recently bought a few funky pyjamas which I absolutely adore. 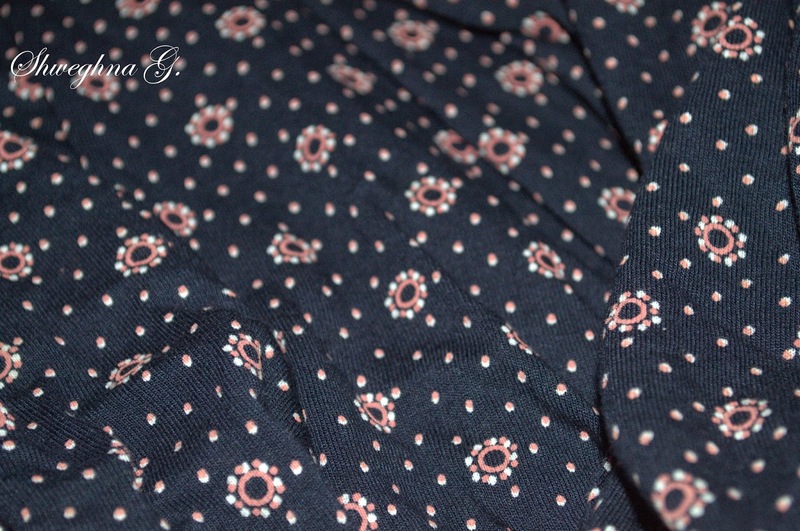 The first one is a subtle floral print having a dark color base. I got this one because I have always been a lover of dark colors. This pyjama goes with almost all colors whether dark or light. 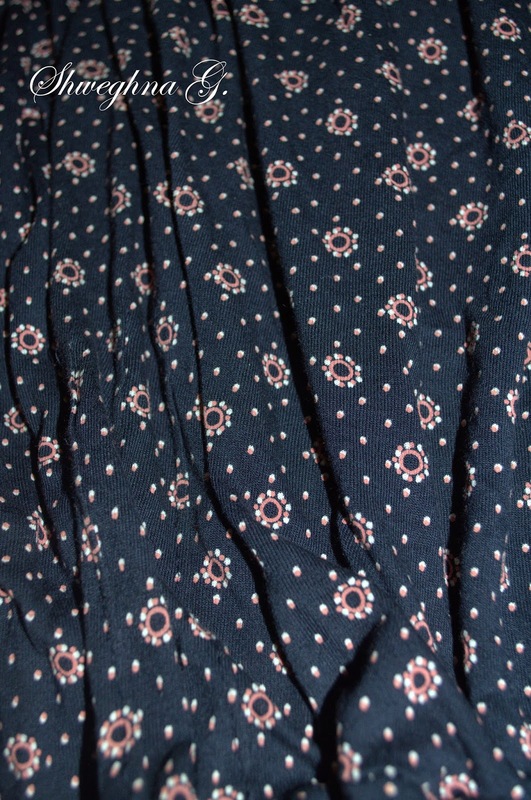 It also has small polka dots to go with the little flowers. Place: Lajpat Nagar 2, New Delhi. The other pyjama I got is really cute. 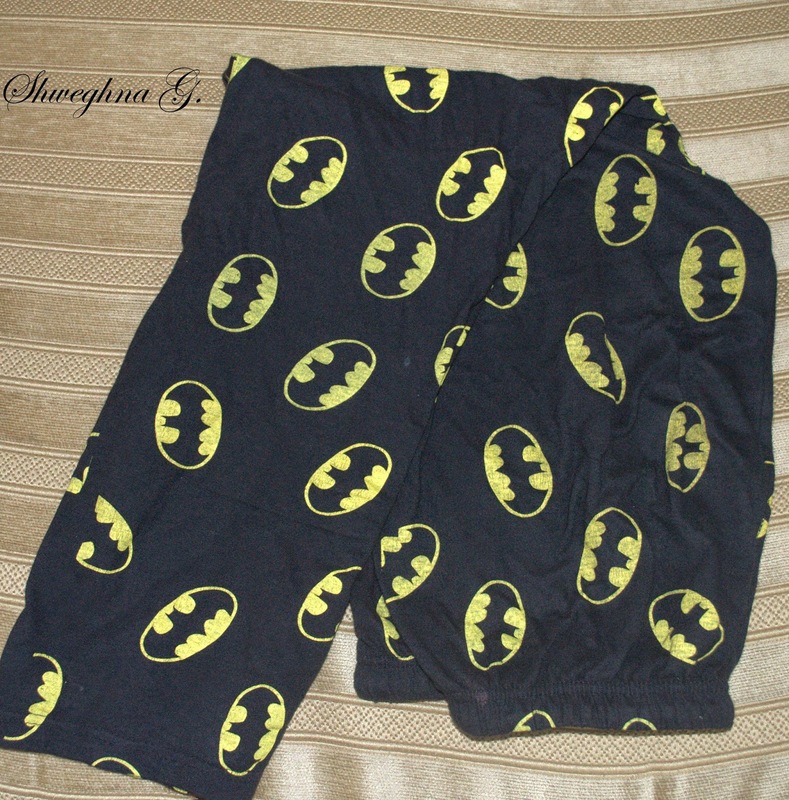 It again has a dark base but it also has Batman prints! 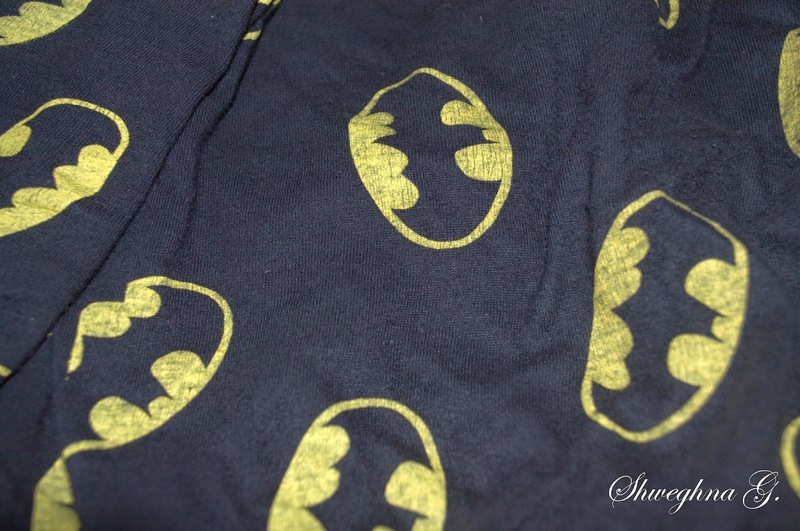 Now I'm not a huge fan of Batman comics and as a matter of fact, I've never even seen a Batman movie but this pyjama had to be bought. The last but not the least is the one pyjama wanted by all of my friends. This one has red color as it's base color. 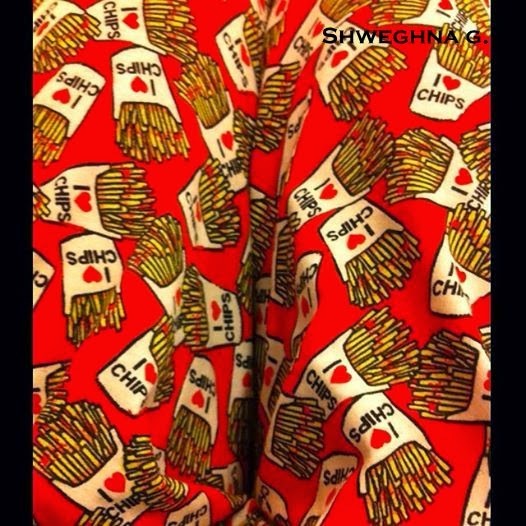 The print is of french-fries on which it is written I love chips. 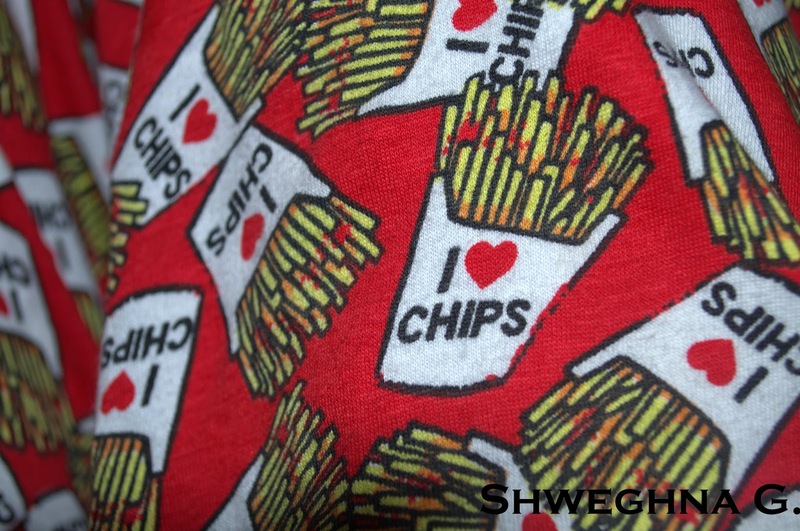 The only bad part about this pyjama is that you will crave for fries till the time you're wearing it. No kidding, that is exactly what happens with me. Place; Lajpat Nagar 2, New Delhi. All of the pyjamas were bought at pretty reasonable rates. This purchase of mine was the most satisfactory one! What I Plan On Wearing This Festive Season. 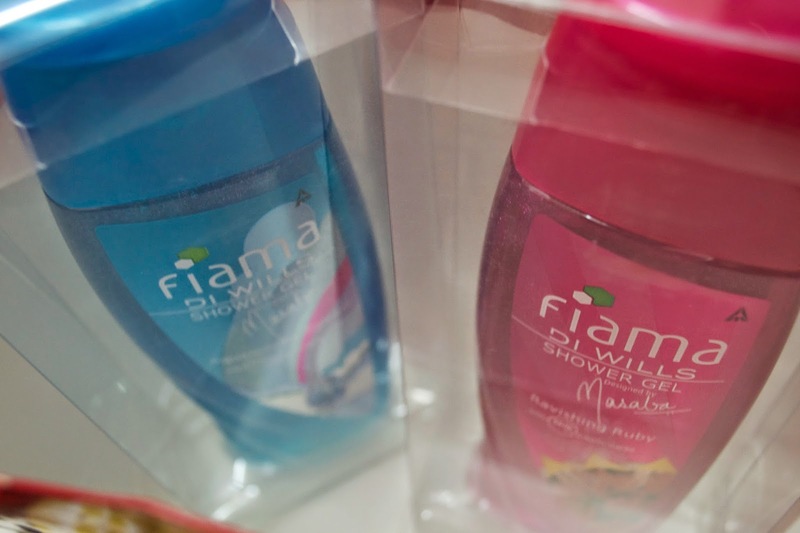 They have a huge variety of clothes and are available at reasonable prices. Myntra.com also offers discounts. Wills Lifestyle India: Masaba Gupta. 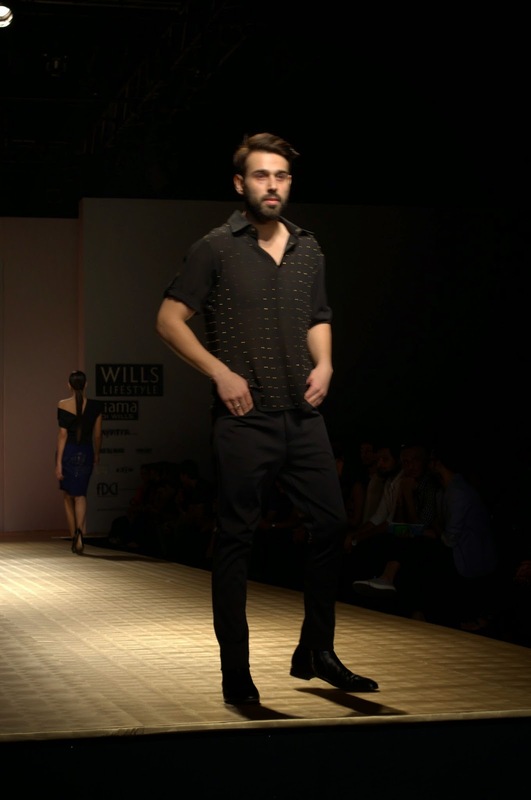 Out of all the shows that I attended at the Wills Lifestyle Fashion Week, Masaba Gupta's fashion show was the most impressive one. 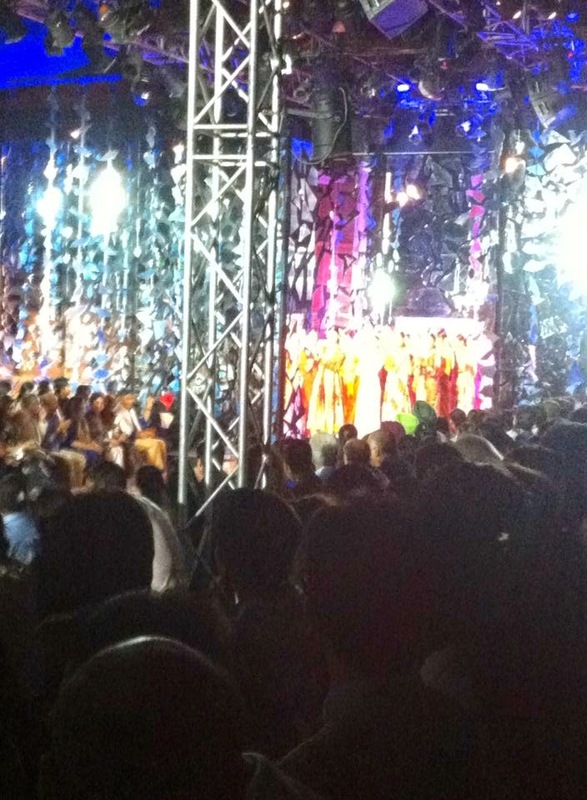 The stage was dazzlingly built up with huge broken reflecting glass pieces as the hangings. Whenever the color of the lightings changed, the glass hangings shined making the hall glow. Every person present for the show was alert as soon as the Bollywood music filled the hall. No kidding, Masaba Gupta actually used Bollywood music for her show. The energy of the room changed due to the Bollywood songs. The collection revolves around Patakha and delicate florals that symbolizes the courage of Leo and the laid back yet serious attitude of Capricorn. Masaba Gupta created beautiful maxi dresses. One of them had prints of shoes hanging from laces. This maxi was combined with a heavy golden neckpiece. One of the other maxis had full sleeves and had a white border on the neck-line. This maxi is subtle and can be worn on any occasion. The designs of the sarees took everyone by surprise. The designer used patakha and floral designs for the sarees which turned out to be phenomenal. The golden neckpieces were also used with these sarees. On one of the sarees, the ghera (border region) had net cloth of harmonious color. Colors of the saree were light and tranquilizing. One of the outfits was a classy shiny golden A-line dress which had tiny golden buttons. This one was a love at first sight. There were also suits with matching palazzos having the patakha prints, maxis with paintbrush prints, drapes of floral prints, and indian skirts along with contrasting indian crop tops. The clothes were not just extraordinary, but the designer also focused on keeping the collection traditional. 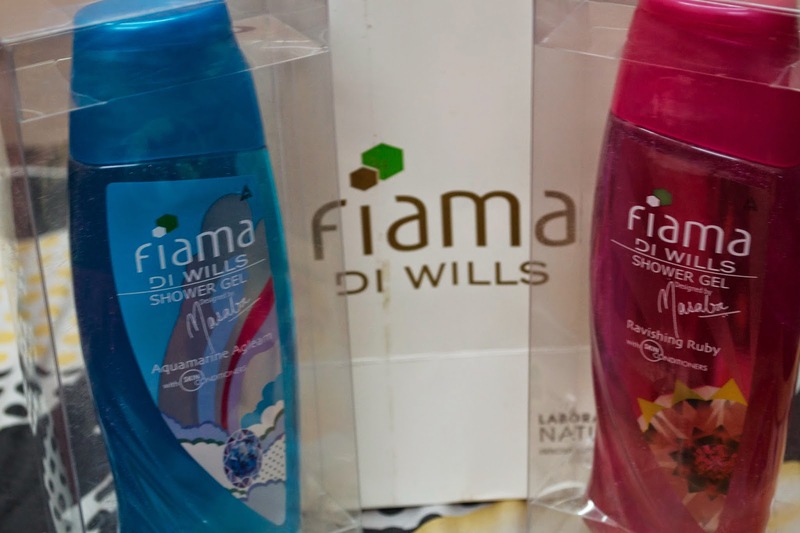 All the guests were given a goodie bag that had Fiama Di Wills' two bottles of shower gels designed by no other than Masaba Gupta. 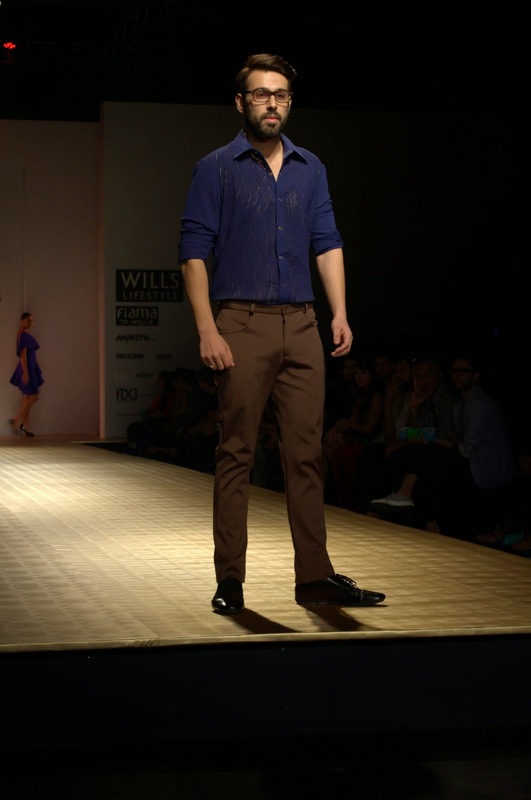 Wills Lifestyle India Fashion Week: Siddartha Tytler. With the help of settling colors, pleats, net cloth and deep back designs, Siddartha Tytler brought forward a lovely fashion show. The show started with a lavishing section of white clothes. The charm from the jazz era was highlighted in the white dresses. One of the white dresses had a beautiful neck line along with diamond cut design on both the sides of the waist. The back of the dress was half empty and that part was covered by net cloth. A ten-on-ten for me! A dress having corset was also in the white section. Since the dress was a tube one, the designer added a net waist length shrug to it. This dress was simply plain yet elegant. A peplum revealing just a bit of the stomach area was mixed with palazzo pants. The peplum had the metallic influence. Straight-line gowns having lace design in patches form was pretty but it could be a bit more eye catching. Siddartha Tytler's other outfits were so glamorous! My personal favorite was the blue knee length dress which had huge pleats at one side of the shoulder along with at the end of the waist area. The back of this dress was half empty. This dress was completely breathtaking. The shirts designed for menswear were a bit translucent but they had a subtleness. Colors of the shirts were dark and edgy. The gowns were dress-like till the knees and then the net cloth was used to make the lower parts of the gown. Extremely fetching, the gowns were stylish and chic. Other outfits of the show included off-shoulder tops mixed with skirts and off-shoulder gowns. 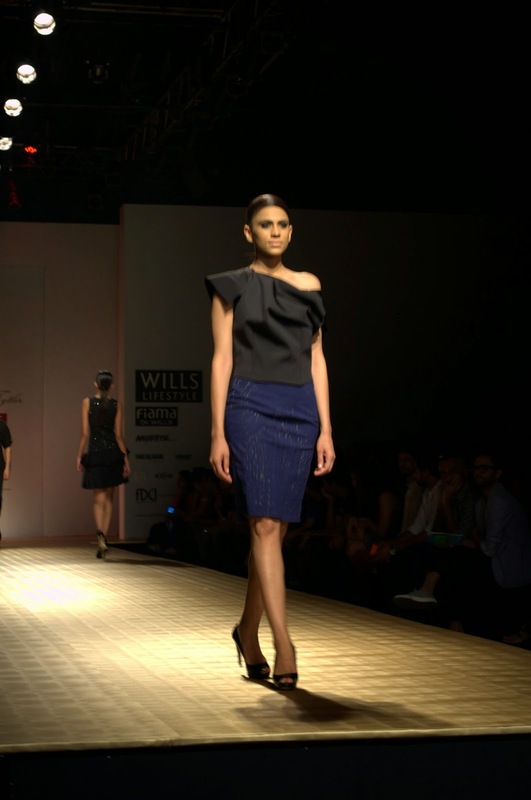 Wills Lifestyle India Fashion Week: Malini Ramani. Malini Ramani in her early 30s is a well known designer whose longest running passion has been for clothing. 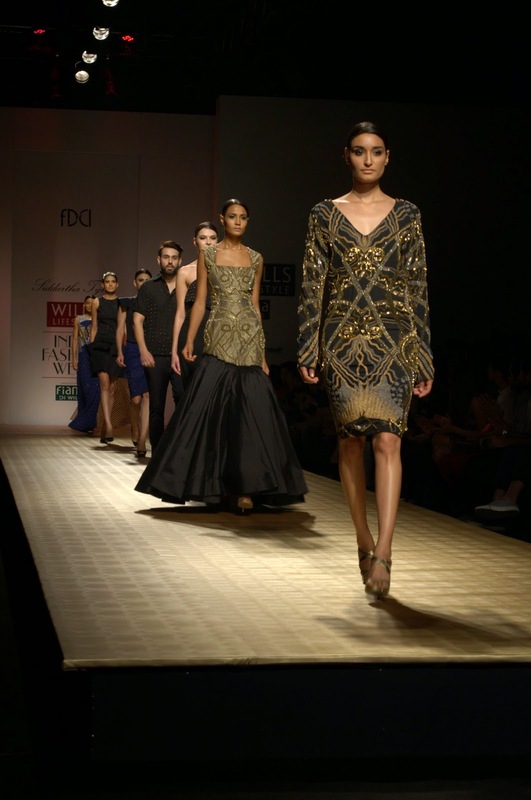 Known for her eminence in the art and craft of design, Malini presented her collection called The Feminine Warrior of Love at the 23rd edition of Wills Lifestyle India Fashion Week. Colors like cream, back, beige, indigo and gold were used for the base of the outfits. Like the name suggests, the collection was daring and ladylike. Leaving no opportunity to startle the viewers of the show, Malini used sophisticated prints to go along with the light colors. Abstract prints were used to give a boundary to the outfits. The best part about the outfits was that no matter what age group you belong to, the outfits will suit you pretty well. The dresses were to die for. They were trendy, flirty and smart looking. Taking net for the neck area, Malini created dresses consisting of the shades of blue and white along with a touch of tribal print. Some of the dresses simply had plain patterns. One of the other dresses had a beige base beside designs created by sequins to go with it. Again net cloth was used for the neck area on this one. On the top of the net, sequins were used which gave an elegant look to the dress. My favorite section of clothing from the entire collection was the jumpsuit and playsuit section. The playsuits were nothing like the ordinary playsuits we see every now and then. Let's say if you wear one of Malini Ramani's playsuits and attend a party, you'll surely be standing out of the crowd because of that playsuit. The sleeveless golden playsuit gave a bold look. Having polka dot pattern, the front side of the playsuit looked like a dress. The outfit also had a belt. The other playsuit was a replica of the blue abstract printed dress. I personally liked the blue playsuit more than the blue dress. Rest of the collection consisted of airy kaftans, a swimsuit, sari drapes, printed maxi dress and comfy palazzos. The concept was totally different and attractive. 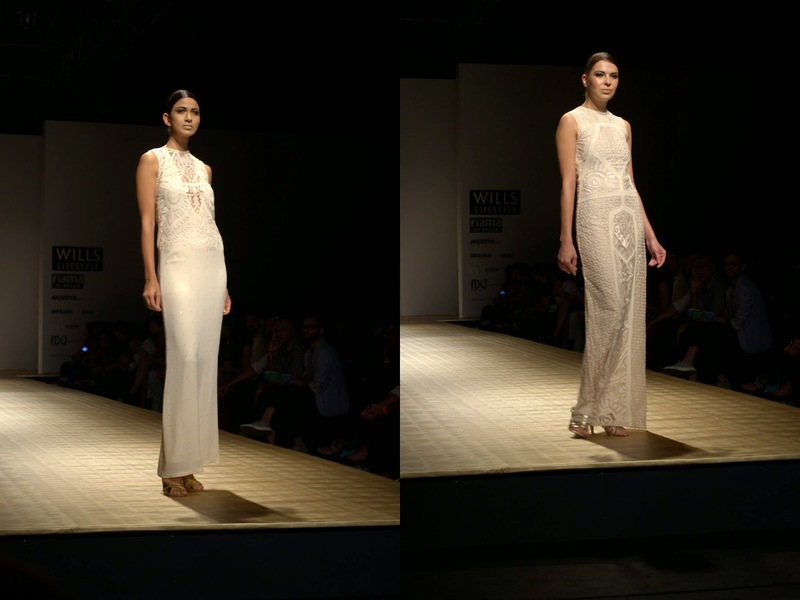 Malini Ramani won everybody's hearts with her designs.